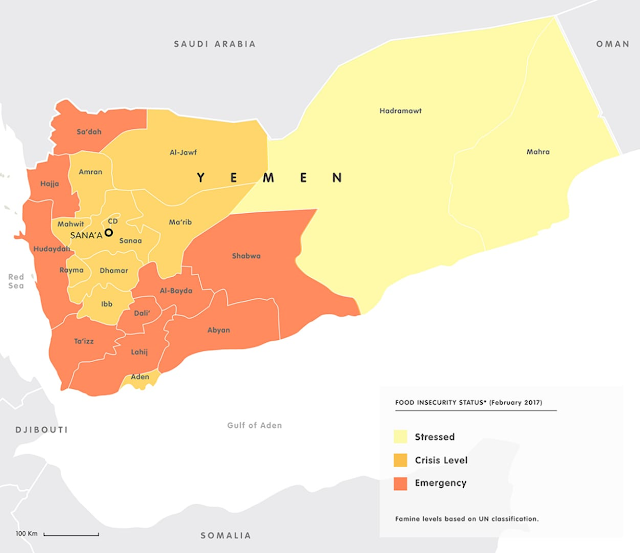 Yemen is the poorest nation in the Gulf region and due to constant conflicts- the region is shattered. Tribal groups are misplaced, and millions of civilians have starved as they were forced to go with little or no food due to war. Violence has forced farmers to abandon their crop and the majority of the population is suffering from malnutrition. Hospitals have been overcrowded by sick and wounded, and the situation is neglected. There are certain lessons learnt from history that war never benefits mankind, yet politicians and power hungry people are not able to understand it. The United Nations Secretary-General Antonio Guterres has called it in April 2018 as the worst humanitarian crisis as more than 22 million people need aid and protection. 13 million deaths are in the way! Since 2016, there has been a contact famine in Yemen. However, After 5th November 2017, the Situation worsened. 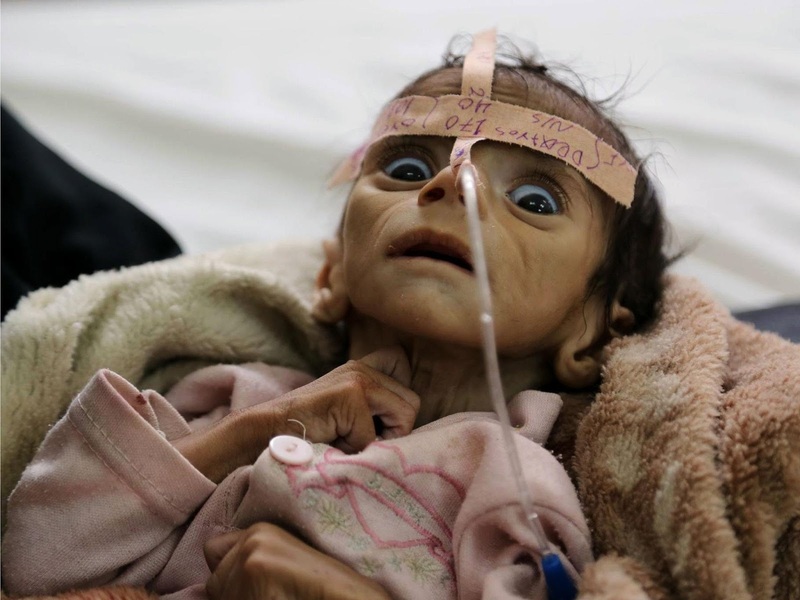 In October 2018, The United Nations warned that 13 million people could starve to death and it could be the "The Worst Famine in the World". And, this is barbaric and harsh reality of today’s world. The image shows the food crisis in Yemen. Saudi Arabia and Iran remain into conflict due to their religious difference between Shia and Sunni branches. So, basically it is a conflict between them. In 2015 Saudi Arabia massively attacked on Yemen‘s Rebel – Huti. Hutis are the followers of Shia Sect of Islam. They are religious minority, and their motto was as used in their banner-" God is great, Death to America, Death of Israel, Curse on Jews and Victory to Islam. " In 2004, the President Ali- Abdullah Saleh was ruing Yemen. He tried to negotiate with religious minority, and failed. He considered them a possible threat to his rule and performed relentless operations against Huti. 2011, The Arab Spring started, which itself was a crisis. Therefore, the President had to step down. The Huti voted for Abdrabbuh Mansour Hadi and hoped for a new inclusive constitution. However, after failed ceasefire, the rebels tried to take control of the entire region. Since then there are constant fights. After failed ceasefire, the rebels tried to take control of entire region. Now the region is under the grip of ISIS, Al-Qaeda and Huti rebels. These are also fighting against one another and recruiting their natives to fight. Hospitals and healthcare are not available. The problem is the safe space in the violent atmosphere of Yemen. People are dying due to political and religious differences, hope it ends soon. However, the issue is silent, and people are not paying much attention to it.